Does this mean pro driving instructors will soon be out of a job? We all know that autonomous driving technology is coming soon, and it appears that even car enthusiasts will reap the benefits of this new tech. Leave it to Porsche to be at the forefront of developing a self-driving mode aimed at those who love to drive. According to CarAdvice, the German automaker is busy at work creating the so-called ‘Mark Webber Mode,’ which would be programmed with the former Formula One and currently Porsche Le Mans racing driver’s skill in terms of braking, acceleration times, etc. 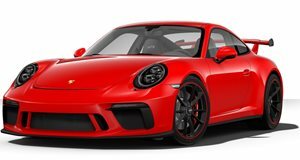 “We are thinking at Porsche that when you go on a race track, it’s an opportunity to use an app where, for example, Mark Webber drives you on the track and you see how to brake, where to accelerate, the perfect line to cross the track,” stated Porsche CEO Oliver Blume. “At the end you can match it with your own driving abilities. You might say at the end, ‘oh, Mark Webber is 10 seconds faster than me – why?’ Then you can go into details: later braking, accelerating, better racing line.” It does sound interesting, we have to admit, and it could very much be utilized as a learning tool for amateur drivers to improve their track abilities. “It can make you a better driver, it’s a safe learning system, and I think these options have a very good worth for our customers,” Blume added. This makes us wonder whether software like this could, one day, put driving instructors out of business. Clearly no one will be immune to automated technology in the near future. “You’re sitting there, in the car, and the car is driving for you – like Mark Webber. That might be a very important option: but the most important thing for Porsche drivers is always to drive,” Blume said. Okay, so at least a fully autonomous Porsche lineup isn't up for discussion, but a ‘Mark Webber Mode,’ or anything similar, is certainly a technological barrier Porsche seems to be willing to cross.